When we see “smiling crescents” with lots of little seeds on the shelves full of fruits, it’s clear that summer is here! Try to consume them in a little bit different way this year. 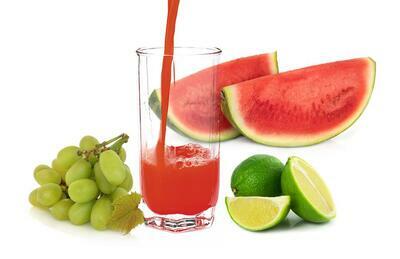 Add watermelons into your favorite recipes for fresh juices or juice them as such. Ice-cold juice from them is an ideal summer drink. Learn more about their wholesome effects on your organism and also how to properly mix them with another kinds of fruits. Watermelon is a gourd-shaped plant as pumpkin and cucumber. According to some experts it belongs to the group of fruits but some of them say that it’s vegetable. The most popular kind of watermelon is the one with red pulp followed by the yellow one (both outside and inside). Both of these kinds contain a lot of water (90 % on average), minimum calories, natural sugars and huge amount of vitamins and minerals. Just a portion of watermelon (approx. 150 g) covers 21 % of recommended daily dose of vitamin C and 17 % of vitamin A. 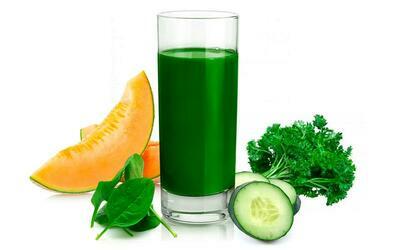 Further it’s a great source of potassium, lycopene, B complex vitamins, zinc, magnesium and other minerals. And what are the wholesome effects? Watermelon also helps with hydration of your organism during hot summer days. Lack of fluids in your body causes headaches, fatigue and lack of concentration. So you can eat without any worries a big piece of watermelon! Refresh yourself with watermelon juice and watermelon ice! Forget about sweet beverages, which don’t quench your thirst at all and moreover, they’re full of chemical preservatives. You’d better try fresh watermelon juice with other kinds of fruits and vegetables. Get inspired by our original recipes and just add the following ingredients into your juicer. Instead of ice you can try frozen pieces of watermelon. Just cut them out of melon and put them in your freezer. Enjoy your refreshing watermelon drink during the hot summer days!